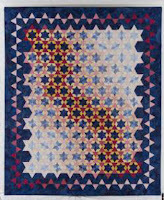 My quilting To-Do list for 2013 includes one or more projects with stars, as they bring wonderful memories from my childhood, when we traveled through the night from the center of Brazil to the Southeast to visit our relatives for Christmas. Luckily for me, I have just discovered a different way to put stars together, and can't wait to try it out. It uses a Clearview Triangle 60 degree ruler, which I just bought, as you strip-piece the stars. 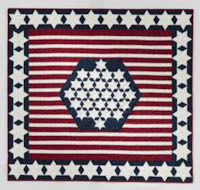 Yes, instead of sewing Y-seams, you sew stratas, cut them with the ruler, align the pieces and sew them on strips, then join the strips to make the stars. 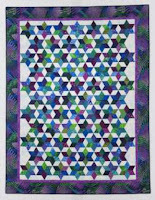 This strip-pieced method for making stars is featured on the book Oh My Stars by Marci Baker, sent to me for review by Alicia's Attic. Check out the project on the cover - isn't it beautiful? Marci gives an overview of how to cut the stars using the Clearview Triangle ruler at the beginning of the book, and then covers it in more detail under General Instructions (pay special attention to the pictures, and to how the ruler is turned different ways as you cut the strata). However, the tutorial videos posted on her site (find them here) are, in my opinion, indispensable for understanding the process and getting it right. 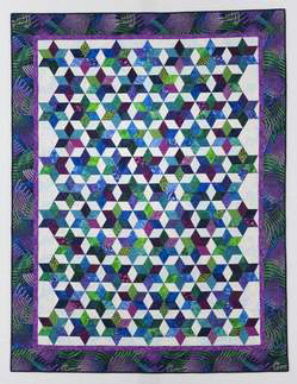 The one of the left, All Stars on page 18, will look wonderful with the batiks I have... 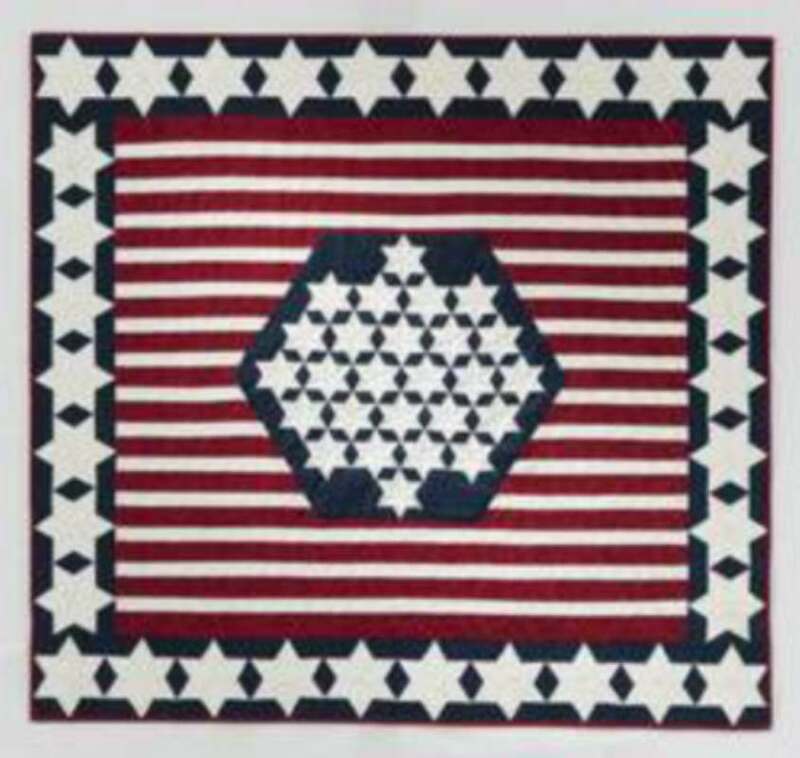 This one on the right, Galaxy of Stars on page 53, uses shades of red, white, and blue, and would be a great candidate for the Quilts of Valor project, as well as the one on page 93, Stars and Stripes, shown below. Of course, my favorite one is the quilt featured on the cover of the book and on page 40, City Lights. Being a city girl, I love watching the stars gracing the sky as the skyscrapers reach toward them. This will definitely be on the top of my To-Do list! Olá!E eu fazendo tudo no papel e costurando a mão...se bem que viciado em papel te mais é que fazer do jeito mais difícil e tradicional mesmo,mas que é sacanagem...Boa Sorte no projeto. Ooh I finally got this ruler after wanting it for quite awhile. Now I'll have to get this book on my wish list and cross my fingers I can purchase it soon too. Thank you.